My vases for flower display begin from the thrown cylinder and bowl form, or from basic slab constructions. 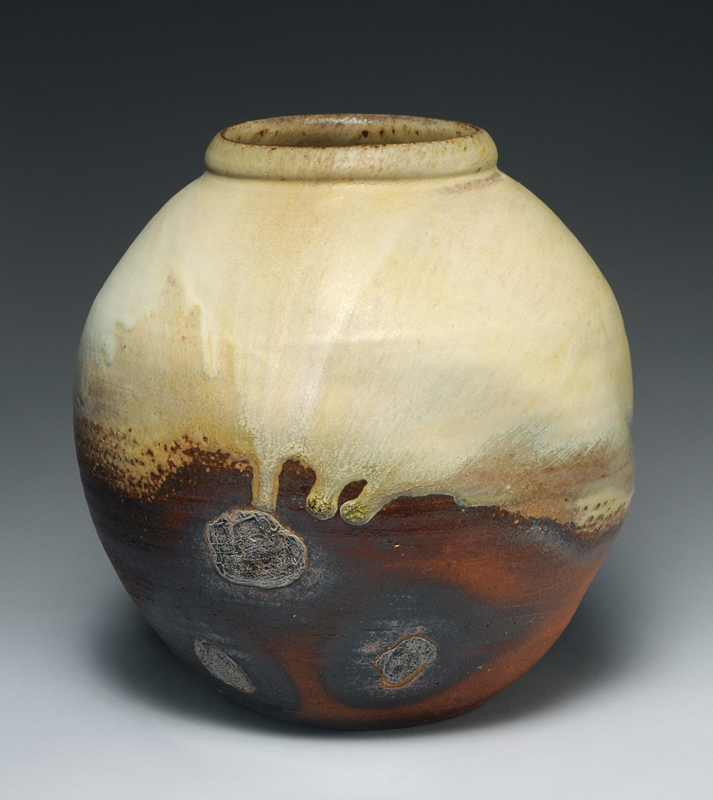 Often the vases are fired in my wood-fired kiln (Skyline Kiln), where I can take advantage of the natural ash glazing that often enhances the applied glazes and colors the clay surface with a light patina. Temmoku brown glaze pours and ash glaze, wood-fired laying on seashells, approx. 9" Ht., 2016. Temmoku brown glaze pours and ash glaze, wood-fired laying on seashells, approx. 8.5" Ht., 2016. Oval vase, wood-fired on shells, approx. 9" Ht. 2016. 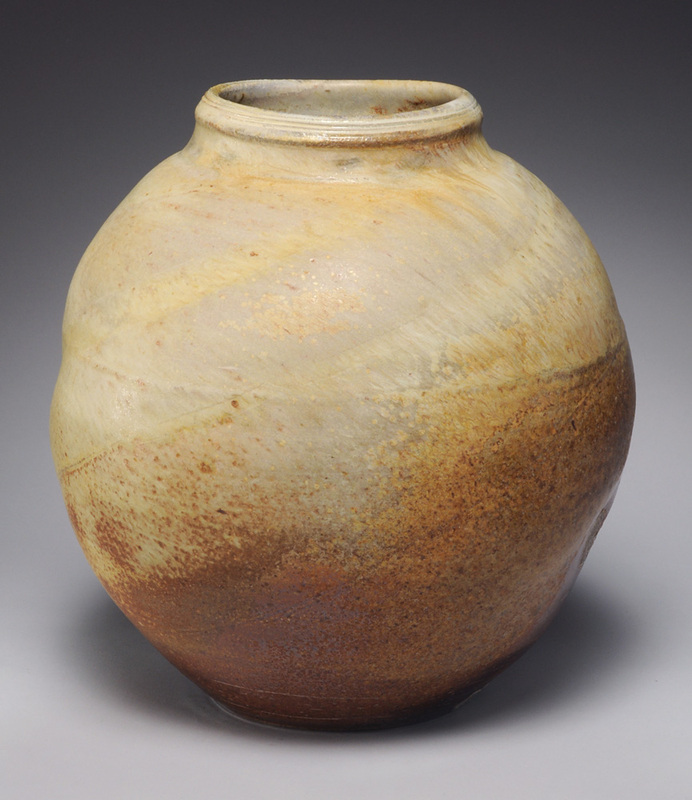 Made of a dark brown stoneware clay with applied ash glaze, wood-fired on seashells, approx. 8.5" Ht., 2016.